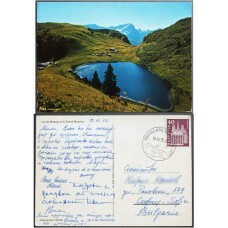 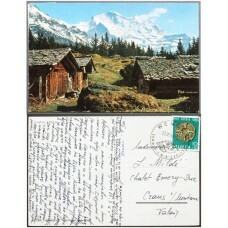 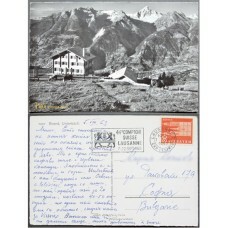 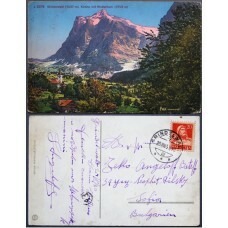 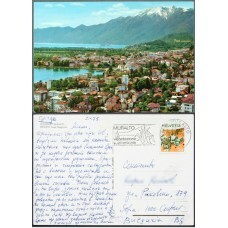 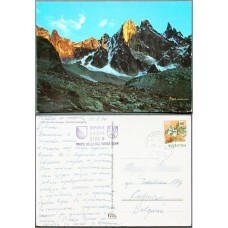 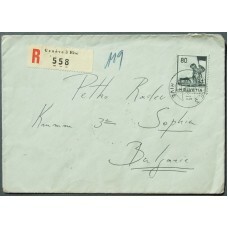 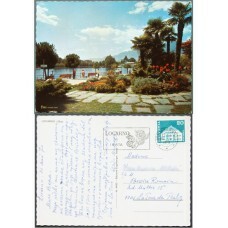 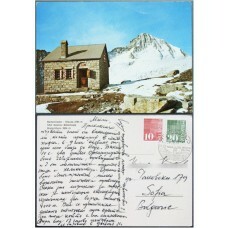 Travelled postal products featuring postmarks by Swiss post offices. 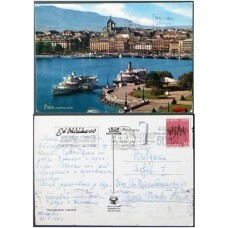 Postmark (Poststempel): Zürich 1 Briefexpedition 1923 + slogan / Definitive stamp 1922 40c Miche..
Swiss postcard. 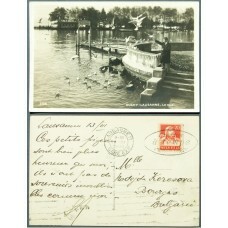 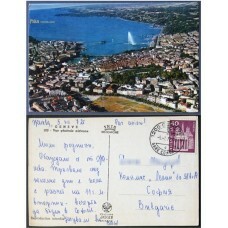 Postmark (Poststempel): Lausanne 11 Gare Exp. 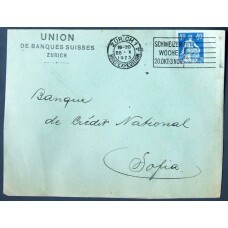 1931 + slogan / Definitive stamp ..
Special Postmark (Poststempel): Lausanne 2 exp. 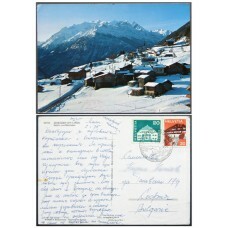 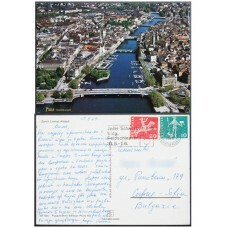 lettres 1963 + slogan / Definitive stamp 1960 30..
Special Postmark (Poststempel): Wengen 1964 / Semi-Postal stamp 1964 10+10c Michel #796, Yvert #..
Postmark (Poststempel): 8000 Zürich 1 Briefversand 1969 + slogan / Definitive stamp 1964 20c Mich..
Special Postmark (Poststempel): 6600 Locarno 1 1970 + slogan / Definitive stamp 1968 20c Michel ..
Postmark (Poststempel): 1200 Geneve 2 Gare Cornavin 1972 / Definitive stamp 1967 40c Michel #703..
Special Postmark (Poststempel): 1884 Villars-sur-Ollon 1972 / Definitive stamp 1960/67 40c Miche..
Special Postmark (Poststempel): 7742 Poschiavo 1973 / Definitive stamp 1970 10c Michel #933, Yve..
Postmark (Poststempel): 1000 Lausanne 1 1973 + two slogans + additional tax mark / Commemorative..
Postmark (Poststempel): 7649 Promontogno 1974 / Definitive stamp 1973 50c Michel #1009, Yvert #9..
Special Postmark (Poststempel): 6600 Muralto 1975 + slogan / Definitive stamp 1973 50c Michel #1..
Special Postmark (Poststempel): 3931 Zeneggen 1975 / Definitive stamp 1968 20c Michel #881, Yver..